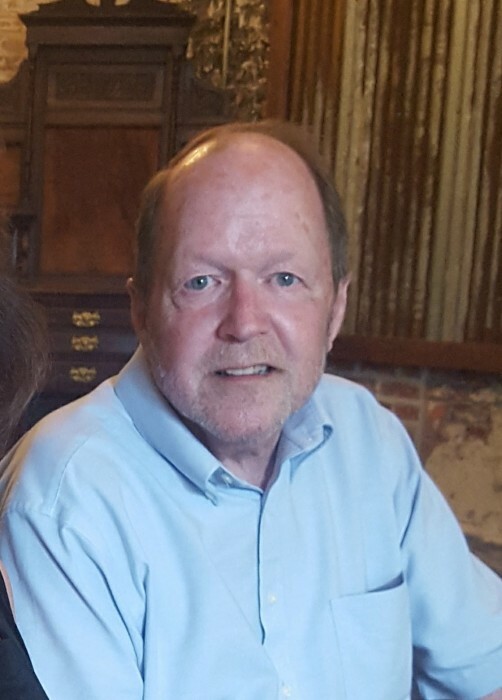 Greenwood, MS: Kurt E. Schroeder, 61, passed away Monday, November 19, 2018 at his home in Greenwood. Graveside services are 2 P.M. Saturday November 24 at Sparta Cemetery with Dr. Jim Phillips officiating. Visitation is from 10 -11:30 A. M Saturday in the parlor of North Greenwood Baptist Church. Kurt was born in Dallas, TX to Robert Edward and Shirley Mae Ritter Schroeder. He lived in several major US cities prior to settling in Greenwood with his family in the early 1980’s. Kurt was a member of North Greenwood Baptist Church where he enjoyed playing the guitar in the praise team band. He loved music, playing his guitar, motorcycles, playing golf and was an avid hunter. He even mastered the art of taxidermy specializing in European mounts. He was preceded in death by his parents. Kurt is survived by his wife of 26 years, Kaye Steele Schroeder, a son; Brandon Edward Schroeder of Oxford, a daughter; Morganne Montgomery Taylor (Bradley) of Cleveland, two sisters; Shari Michlitsch (Dennis) of Alpharetta, GA and Lisa Sayle (John) of Lake Cormorant, MS, a brother; Robert Edward Schroeder, Jr. of Bridge City, TX and several nieces and nephews. Pallbearers will be; Al Allen, Corey Walker, Chris Christian, Rick Allen, and Johnny Sayle. Memorials may be made to North Greenwood Baptist Church or the American Cancer Society.